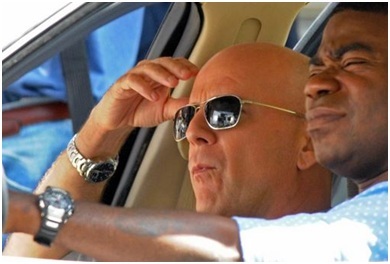 Hollywood superstar comedian Tracy Morgan sports the Casio G Shock in the movie Cop Out. Tracy shows that this watch matched perfectly for a casual outing with family or friends or if you are an undercover cop! It has multiple function like world time, shock resistant, alarm and signal mode and is the perfect choice for cops in action.